In a prior blog post we described the various siding products available at Wholesale Siding Depot and discussed the various styles and benefits of different materials. 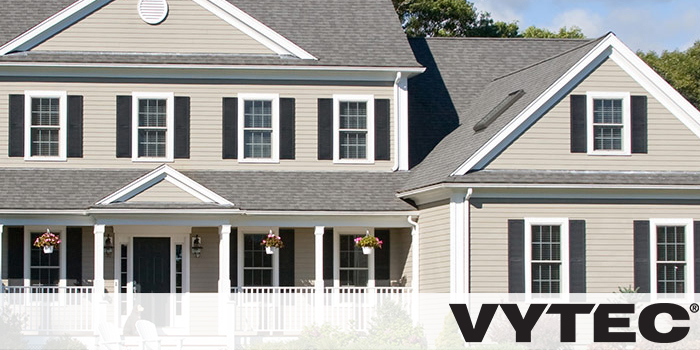 Today we want to focus on quality vinyl siding from Vytec. Wholesale Siding Depot stocks Vytec’s Prestige and Nantucket vinyl siding products, each available in a wide array of colors and profiles. Check out our Vytec page to learn more, or stop by our showroom and get a hands-on feel of this product so you can recommend it to your customers!